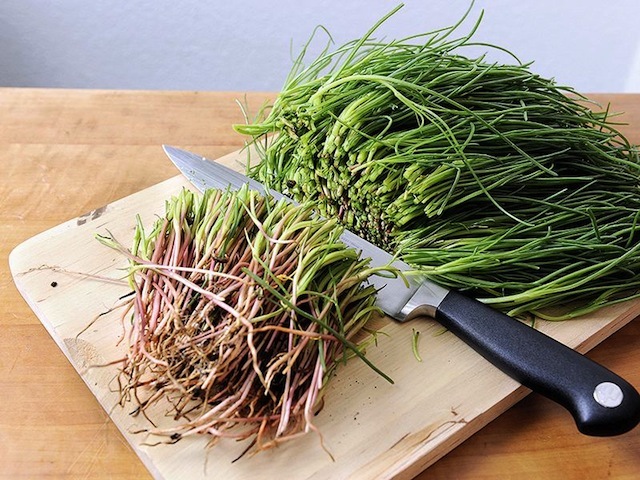 Share the post "Barba Di Frate Or Agretti Or Monk’s Beard"
They call it in Italy “agretti” or “barba di frate” and liscari sativa (short: lischi or lischeri). 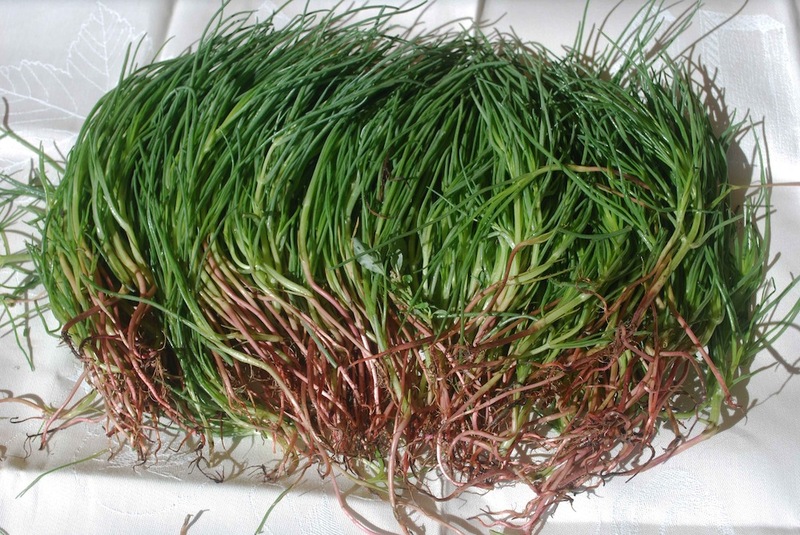 It is also known as Salsola soda, more commonly known in English as opposite-leaved saltwort, oppositeleaf Russian thistle, or barilla plant. It is a small (to 0.7 m tall), annual, succulent shrub that is native to the Mediterranean Basin. It is a halophyte, which means a salt-tolerant plant, that typically grows in coastal regions and can be irrigated with salt water. Barba di frate is native in Eurasia and North Africa. Historically, it was well known in Italy, Sicily, and Spain. In modern Europe, it is also found on the Atlantic coasts of France and Portugal and on the Black Sea coast. It has become naturalized along the Pacific coast of North America, and there is concern about its invasiveness in California’s salt marshes. It is also reported to be naturalized in South America. 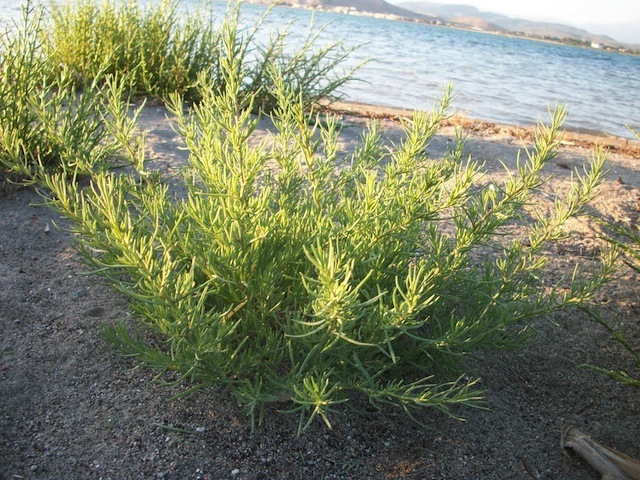 The plant has great historical importance as a source of soda ash, which was extracted from the ashes of Salsola soda and other saltwort plants. Soda ash is one of the alkali substances that are crucial in glassmaking and soapmaking. The famed clarity of 16th century cristallo glass from Murano and Venice depended upon the purity of “Levantine soda ash,” and the nature of this ingredient was kept secret. Spain had an enormous 18th century industry that produced soda ash from the saltworts (barrilla in Spanish). Soda ash is now known to be predominantly sodium carbonate. This plant is not a summer green and should be started early indoors or in Autumn. The seed is notorious for poor germination at about 30% to 40% standard, much like Rosemary. Though the plant is often grown in saltwater irrigated land in the Mediterranean Basin, it will grow without salt water. 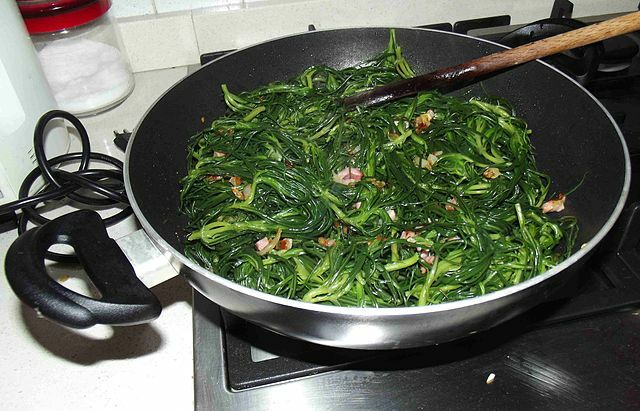 It’s great to cook it in the pan with a little bit of olive oil just time the “agretti” get a little fluffy. You can try to cook it with some lemon “confit” and its olive oil. Wash and brush the lemons. Slice them (1 cm width) and progressively put the slices in a colander in the sink. Add salt at the same time in good quantity in order to cover them. Kindly patient until the day after. Wash the lemon slices under water and put them tight in a pot. Add the cloves and cover with oil. Close well the pot and put it in dark for at least a month before using the lemon. Blanch the agretti in boiling water for 2 – 5 mins with very little, or no salt added as Agretti can be slightly salty itself. Gently heat the oil in a pan, add the anchovies and stir until broken up. Add olives and mix well. Add Agretti and toss well. Serve warm. 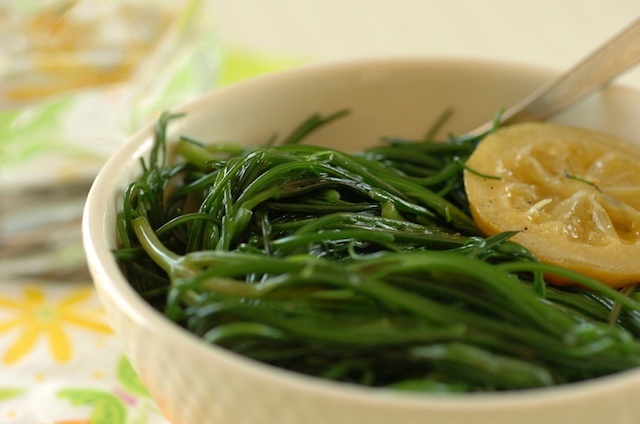 Agretti is also good in salads either cooked or uncooked.